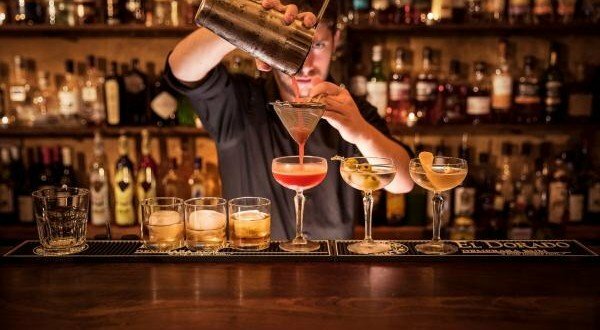 There can be no birthday party without balloons now, can there? 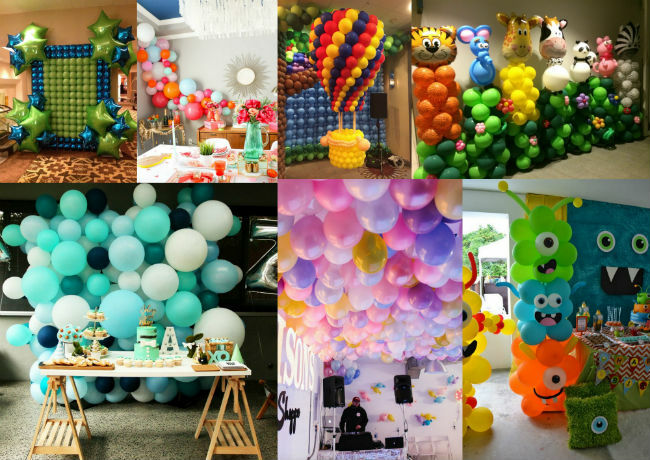 Children love balloons (and grownups love them too!). 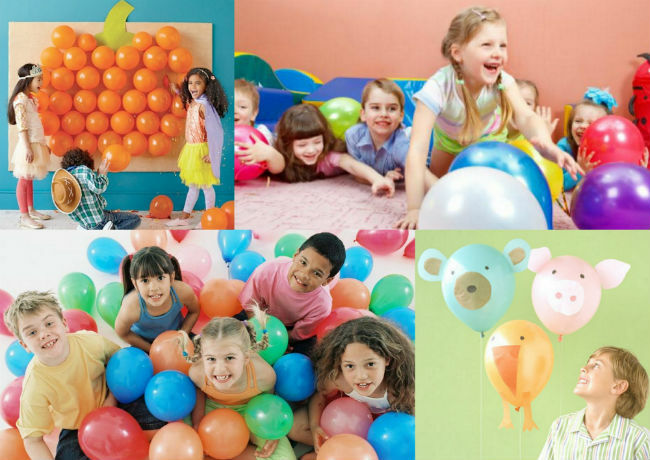 There is something about balloons that makes children squeal with joy and which brings out the inner child in grownups as well. 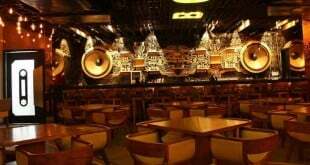 While you can just blow up balloons of different colors and hang them around your birthday bash venue, you could also go an extra step and do something really creative with balloons, while not breaking your back doing it! 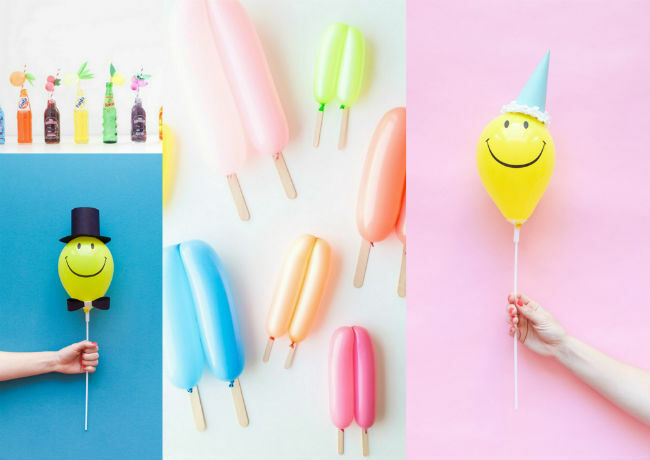 There are a whole host of easy and creative balloon decor ideas that will make your birthday party the most distinctive one that people have seen, so why not try them out for a change? 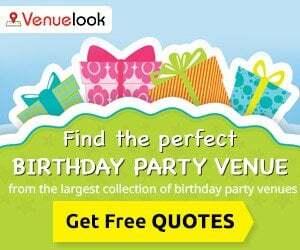 •	You will undoubtedly be having a birthday cake for your birthday party, right? 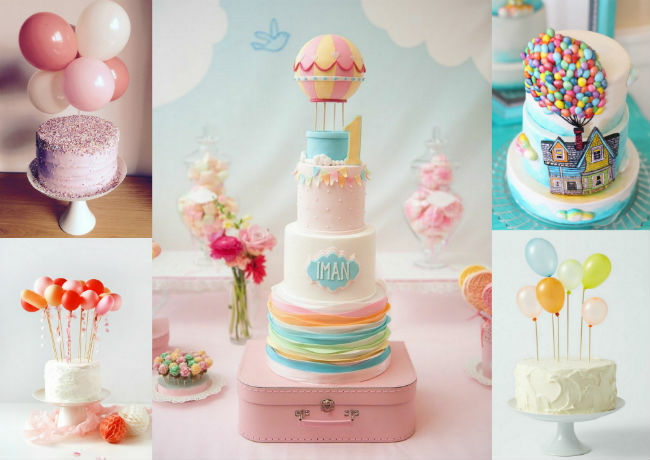 So why not have special balloon themed cake toppers that will have your child and the guests delighted! 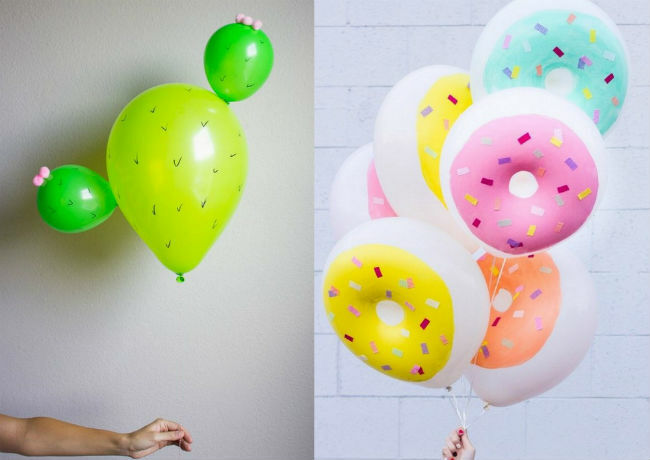 •	You could also attach real balloons (tiny ones) to straws and have them on the cake for a cake that could (almost!) float. 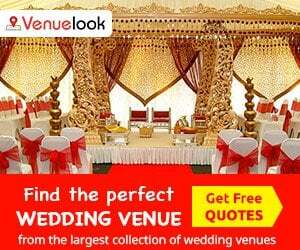 •	You could arrange balloons in different shapes on the wall, grouping them together using appropriate colours, to make the shapes of flowers, ships, etc. 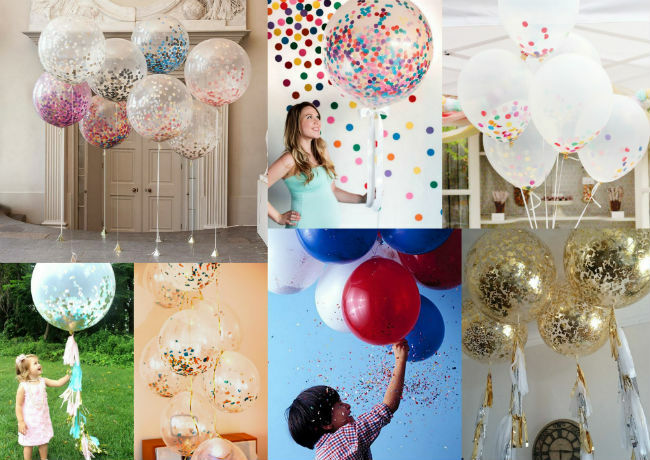 • Make confetti balloons filled with confetti that children would just love to pop at the end of the day! •	Give children art supplies and get them to decorate the balloons anyway they wish. Just give them paints, sequins, paper chits, confetti, etc., and watch them engrossed for hours! 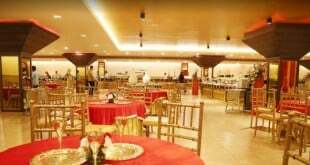 •	Paint different types of foods, loved by kids, on the balloons, such as pizza, cupcakes, donuts, etc. 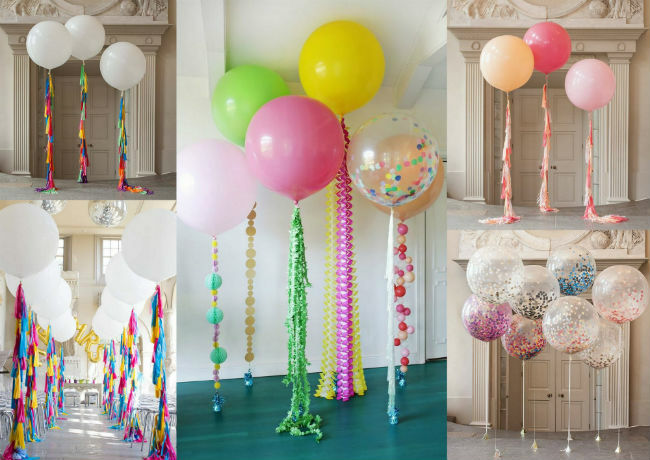 •	Attach different coloured tassels on the balloons to make for a balloon streamer that is stylish for sure! 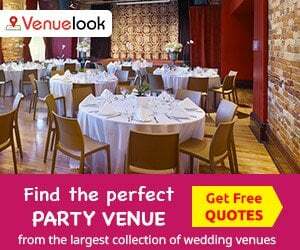 •	Get all fairytaleish by attaching tulle around balloons and hanging them at the entrances to the party venue for a different take on balloons. 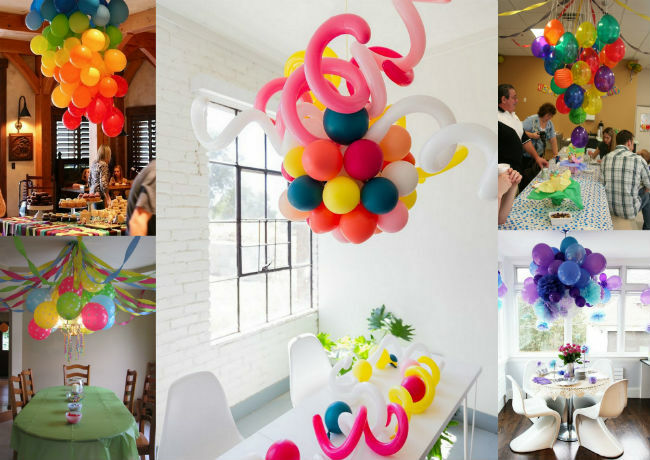 •	Create balloon chandeliers with different colours and sizes in different parts of the room that will have both the kids and grownups squeal with delight. 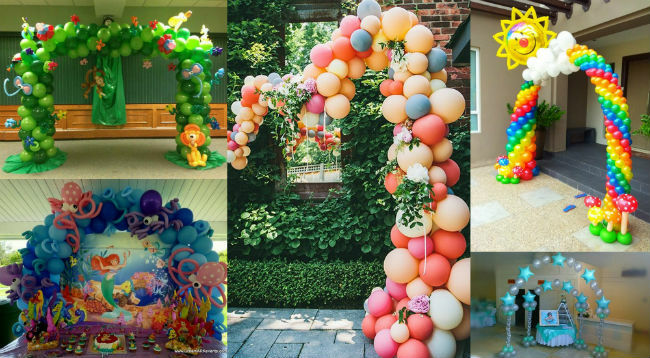 •	Create a balloon arch to welcome in the guests and have your child feeling like a million bucks! 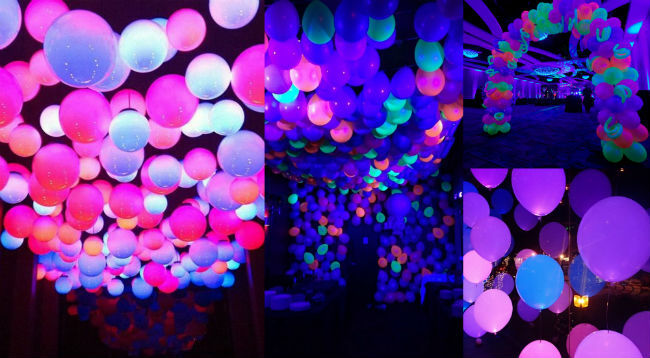 •	Get neon balloons for a fun birthday bash at night that will light up the night skies. 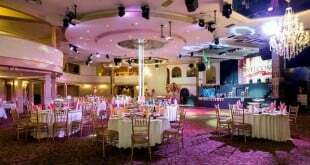 •	Send balloons as birthday invitations, printed with the date and day and details, which can be read only when they are inflated (so they will be attached to the birthday invite). 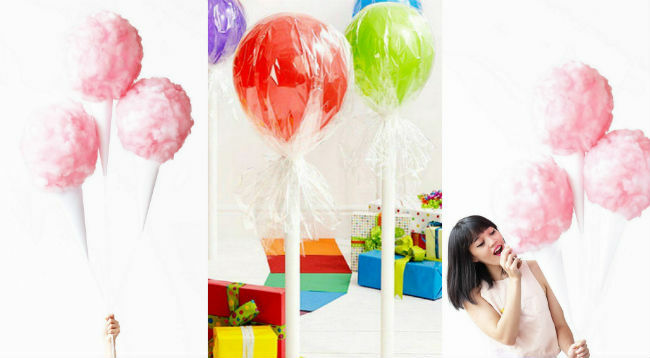 •	For an edible treat, attach cotton candy to the outside of the balloons (just make sure everything is done in a hygienic way). This is sure to thrill the kids (and some grownups too) and is a fun way to carry their cotton candy around! 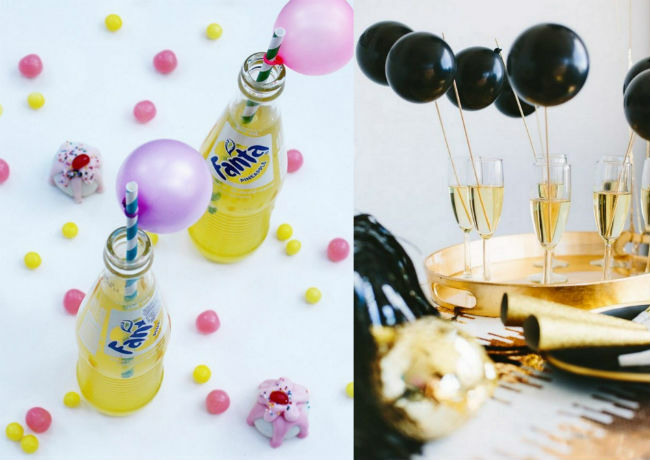 •	Buy lots of mini balloons to attach them to straws to be used as toppers. You could also make balloon jewellery to gift to your little guests. 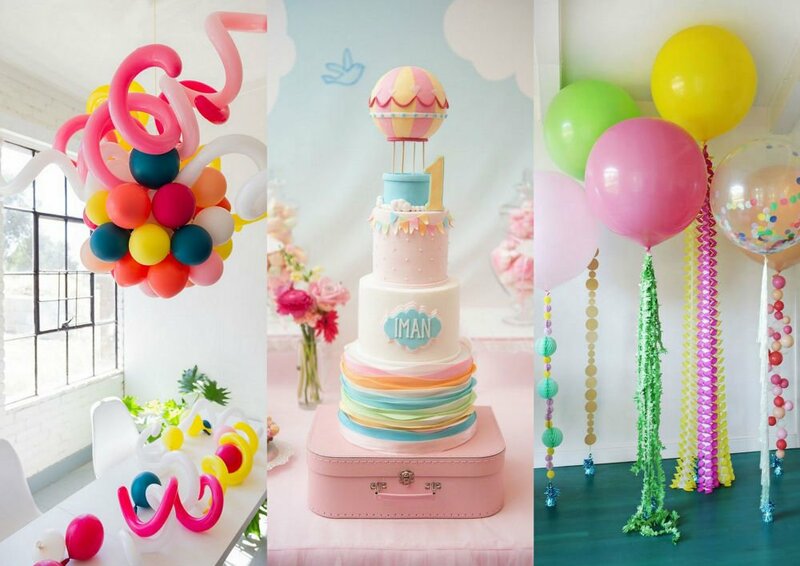 Your imagination is the only limit to the different ways you can use balloons to jazz up a birthday party!